Randi Brooks: What a busy weekend!!! 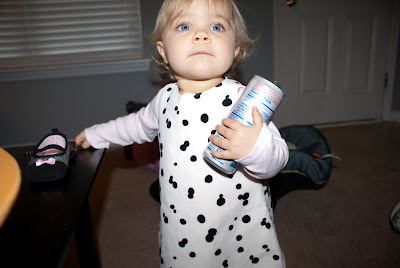 When I woke up Saturday morning, I knew it was going to be a busy day so I slammed a RedBull and was ready to go! 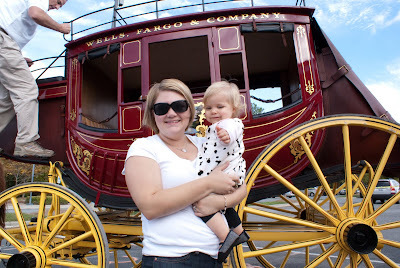 Dada had a shoot with Uncle Joel...so I got to see a Wells Fargo stagecoach. 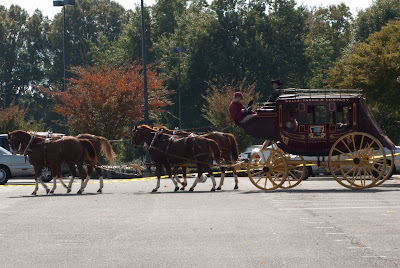 This is me watching the horses pull the stagecoach, after Mama took me shopping. Look at Dada! He is crazy sitting backwards getting video of the driver! 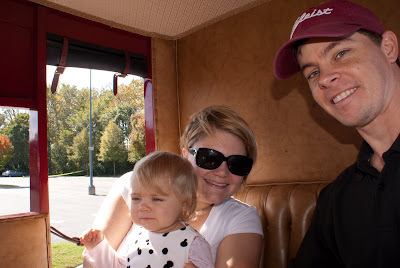 We got to ride inside of it too! 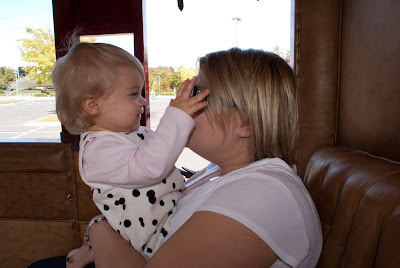 I had fun taking off Mama's sunglasses! 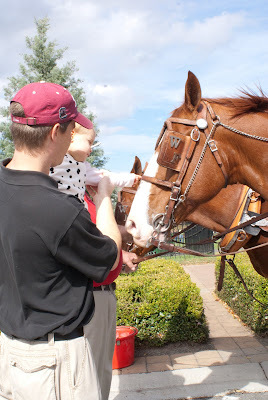 When we got done riding, I got to pet the horses. 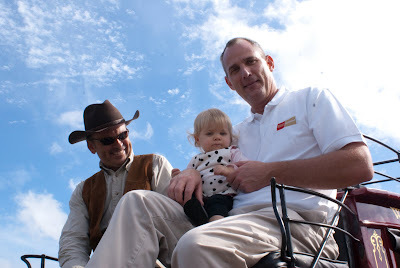 After they got the horses unhooked I got to sit shotgun with Uncle Joel and the stagecoach driver! 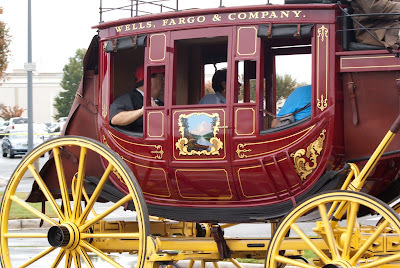 Here is a picture of Mama and I in front of the coach. 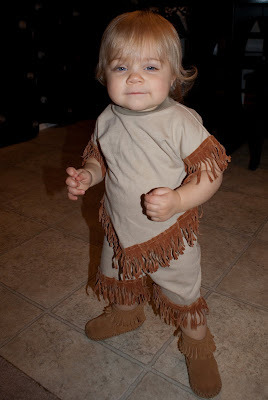 After I woke up from my nap, Mama and Dada dressed me up in an Indian costume to go to a Halloween party for a little while! 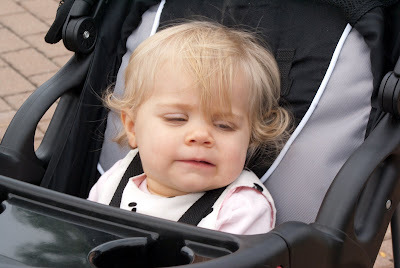 Check back in later for my pictures from my trip with my friend Sadie to the pumpkin patch!